AUSTIN, TX--(Marketwired - July 07, 2016) - SolarWinds, a leading provider of powerful and affordable IT management software, today introduced Destiny Bertucci as the newest member of the company's Head Geek™ team. A Cisco® Certified Network Associate (CCNA) and CompTIA Security+ certification holder, she brings 15 years of IT expertise in network management, security and application engineering to the team. Bertucci is an IT expert with over 15 years of experience, nine of which have been as a senior applications engineer at SolarWinds. She holds a degree in database development complimented by industry certifications including CCNA; CompTIA Security+; Microsoft® Certified IT Professional (MCITP) SQL Database Developer; CIW Masters, Web Development; and SolarWinds Certified Professional®. Bertucci began her IT career in 2001 as a networking consultant before joining SolarWinds to help grow the tools she had come to rely on. She boasts a deep knowledge of the complete SolarWinds® product line, including customization, leading to expertise across network, security, application, server, virtualization and database management. "Destiny is a pillar in the SolarWinds community of over 150,000 customers whose passion for networking, security and everything else IT is infectious," said Jason Marshall, chief marketing officer, SolarWinds. 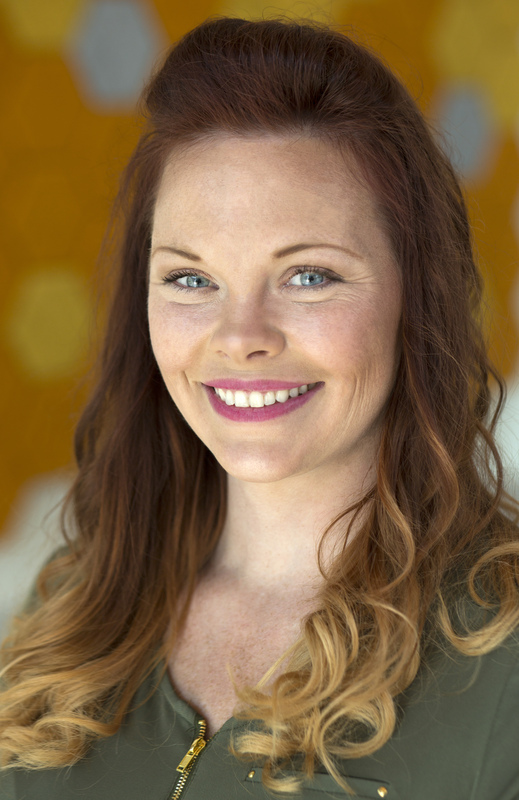 "We're beyond thrilled to have her join the ranks of the SolarWinds Head Geeks, where she will be even better positioned to help our customers and IT professionals at large master their ever-changing and increasingly important roles in driving the success of today's businesses." Bertucci has been with SolarWinds for over a decade. Prior to joining the Head Geek team, she fulfilled roles in application engineering, technical product marketing and customer lifecycle management, among others. Her first public appearance as the newest Head Geek will be at Cisco Live® in Las Vegas, July 10-14, 2016 (booth 1419). The SolarWinds Head Geek team brings together nearly 100 collective years of real-world expertise and renowned industry credentials to provide the IT professional community with perspectives, advice and discussion on the latest trends and challenges in technology. The SolarWinds Head Geeks engage with IT professionals on the SolarWinds THWACK® community forums and Geek Speak blog, and provide advanced technical training in monthly SolarWinds Lab™ sessions. The Head Geeks also participate regularly on various IT forums, including myITForum.com, Windows-Noob.com, Stack Overflow® and Spiceworks®. In addition, they regularly contribute to a broad set of industry publications and blogs, including Network Computing®, Mission Critical magazine and TeachTarget's SearchNetworking and SearchSDN. You can follow the SolarWinds Head Geeks on Twitter @HeadGeeks. Adato is a CCNA, Microsoft Certified Solutions Expert and SolarWinds Certified Professional. His 25 years of network and systems management and monitoring experience spans the financial, healthcare, food and beverage and other industries. Hubbard boasts over 20 years' technical expertise spanning network management, data center, storage networks, VoIP, virtualization and more within startups and Fortune 500® companies alike that span the technology, transportation, financial services and telecom industries. LaRock has over 15 years of IT experience holding roles such as programmer, developer, analyst and database administrator. He is a Microsoft Certified Master, VMware® vExpert™, Microsoft Certified Trainer and eight-time Microsoft SQL Server® MVP. Yang has over 20 years of IT experience specializing in virtualization and cloud management. He is a VMware vExpert, Cisco Champion and active and well-respected contributing thought leader within the global virtualization and cloud communities. SolarWinds provides powerful and affordable IT management software to customers worldwide from Fortune 500® enterprises to small businesses, government agencies and educational institutions. We are committed to focusing exclusively on IT Pros, and strive to eliminate the complexity that they have been forced to accept from traditional enterprise software vendors. Regardless of where the IT asset or user sits, SolarWinds delivers products that are easy to find, buy, use, maintain and scale while providing the power to address all key areas of the infrastructure from on premises to the Cloud. Our solutions are rooted in our deep connection to our user base, which interacts in our THWACK online community to solve problems, share technology and best practices, and directly participate in our product development process. Learn more today at www.solarwinds.com. SolarWinds introduces Destiny Bertucci as newest Head Geek.